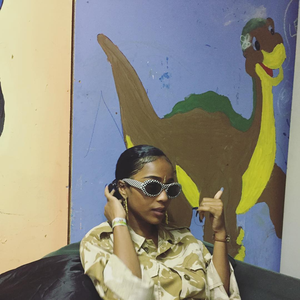 IAMDDB is 21 years old UK-based urban jazz/neo-soul vocalist & producer. Hailing from Manchester, she's been signed with Beatphreak records. IAMDDB. A young and exciting new talent hailing from Manchester, ready to mesmerise you with her hybrid of trap-soul and sultry jazz-infused vocals. With her latest release 'HOODRICH VOL 3' and a captivating performance of single 'PAUSE' for Colours of Berlin, she has proved herselfo as one of the UK's most exceptional new class of artists.